Sale! Save 20% through 12/31/18 with coupon code "SIJD" at checkout! Seeing Israeli and Jewish Dance is a work of great originality and importance, not only to the world of dance but to the study of global Jewish culture and the arts. Its scope and depth are remarkable, and its combination of photography and scholarship is nothing short of thrilling. 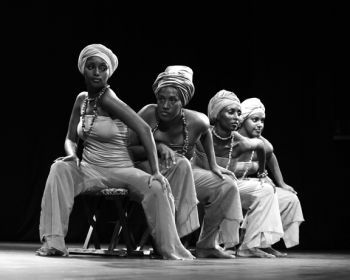 In Seeing Israeli and Jewish Dance, choreographer, dancer, and dance scholar Judith Brin Ingber collects wide-ranging essays and many remarkable photographs to explore the evolution of Jewish dance through two thousand years of Diaspora, in communities of amazing variety and amid changing traditions. 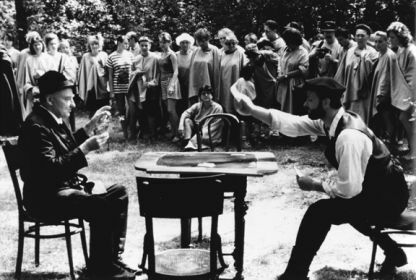 Ingber and other eminent scholars consider dancers individually and in community, defining Jewish dance broadly to encompass religious ritual, community folk dance, and choreographed performance. 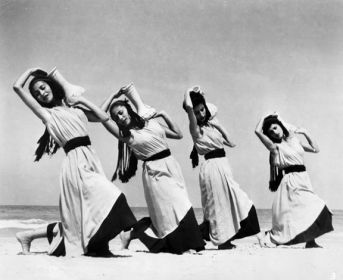 Taken together, this wide range of expression illustrates the vitality, necessity, and continuity of dance in Judaism. This volume combines dancers’ own views of their art with scholarly examinations of Jewish dance conducted in Europe, Israel, other Middle East areas, Africa, and the Americas. In seven parts, Seeing Israeli and Jewish Dance considers Jewish dance artists of the twentieth and twenty-first centuries; the dance of different Jewish communities, including Hasidic, Yemenite, Kurdish, Ethiopian, and European Jews in many epochs; historical and current Israeli folk dance; and the contrast between Israeli and American modern and post-modern theater dance. Along the way, contributors see dance in ancient texts like the Song of Songs, the Talmud, and Renaissance-era illuminated manuscripts, and plumb oral histories, Holocaust sources, and their own unique views of the subject. A selection of 182 illustrations, including photos, paintings, and film stills, round out this lively volume. Many of the illustrations come from private collections and have never before been published, and they represent such varied sources as a program booklet from the 1893 Chicago World’s Fair and archival photos from the Israel Government Press Office. Seeing Israeli and Jewish Dance threads together unique source material and scholarly examinations by authors from Europe, Israel, and America trained in sociology, anthropology, history, cultural studies, Jewish studies, dance studies, as well as art, theater, and dance criticism. Enthusiasts of dance and performance art and a wide range of university students will enjoy this significant volume. Judith Brin Ingber is a performer, teacher, and choreographer who has written and lectured extensively on Jewish dance. She co-founded the Israel Dance Annual magazine and the chamber performing arts troupe Voices of Sepharad and has been an adjunct faculty in the Department of Theater Arts and Dance and in the School of Journalism at the University of Minnesota since 1978. Judith Brin Ingber has assembled in one volume a wealth of information and ideas. 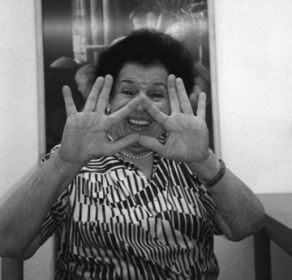 She and the seventeen other contributors to Seeing Israeli and Jewish Dance probe such diverse, yet profoundly related subjects as dancing in Judaic ceremonies and the creation of folk dances in the newborn nation of Israel. Dancing springs to life on the page-illuminating how cultural roots yield new blooms when transplanted into different soil. 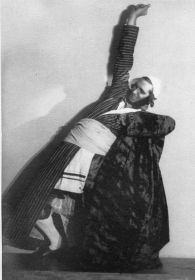 The reader will be stimulated by conflicting views about such topics as women's participation in traditional Jewish dances throughout history and the ways in which contemporary folk and theatrical dancing in Israel have honored memory and culture, even as they have altered the image of the Jewish body and what it means to be a Jew." Seeing Israeli and Jewish Dance is at once both cinematic and diasporic. It is part academic travelogue, part historical manifesto, and part home movie, if 'home' was all of Jewish culture across all of history. It intermingles the religious and secular practices of dance into a hybrid and fluid Jewishness: one with porous boundaries and a shifting sense of self, identity, and purpose. In this collection of original and sometimes daring research, dance is framed as celebratory and artistic, decorative and efficacious, a kind of both/and construction which the authors liberally mine for its essential Jewishness and its contribution to the central issues surrounding Jewish identity, as both a part of and apart from the State of Israel. Seeing Israeli and Jewish Dance will undoubtedly inspire debate, critique, and hopefully the publication of other texts that further explore dance in the frame of an ever-shifting Jewish identity." Artful photos can capture the transformation that happens in a rare moment when dance transcends physical movement alone and expresses or touches human experience. We are fortunate to remember dancers who have succeeded at such transformations and to remember the occasions on which the dances happened, as illustrated in each of the essays. Together the photographs form a visual map of Jewish dance as we travel along with the contributors through time and place." Seeing Israeli and Jewish Dance is a work of great originality and importance, not only to the world of dance but to the study of global Jewish culture and the arts. Its scope and depth are remarkable, and its combination of photography and scholarship is nothing short of thrilling." This large-format, sumptuously illustrated anthology fulfills the visual promise made in the title; the reader truly 'sees' the dance on the pages, not only in the photographs but in the words that swirl and twirl out of the stories in the wide range of essays that comprise the book. 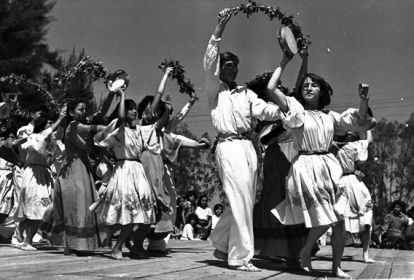 Here are images of Jewish bodies in motion: Hasidic men dancing the bottle dance"; kibbutzniks in the 1940s dancing in a celebration of Chag Ha'Bikkurim (Festival of the First Fruits); Kurdish elders in a line dance at the Dalia Festival in Israel more than 50 years ago; the elegant Pearl Lang, arms outstretched and a leg raised high, in her solo Song of Deborah, about the first biblical woman judge; and Minneapolis resident Stuart Pimsler in a prayerful pose, towel draped over his head like a tallis, from his postmodern Schvitz (Sweat), a nostalgic piece about Jewish steam baths. These photos and dozens of others illustrate Seeing Israeli and Jewish Dance a beautiful, large-format art book, comprised of erudite articles, edited by Judith Brin Ingber… Seeing Israeli and Jewish Dance, with 182 illustrations and photographs, is a beautiful, dazzling, encyclopedic work about Israeli folk dance and Jewish dance in the Diaspora that quite simply deserves a place in any Judaica library." I'm using your book - my students and I are just loving it. It hits all the right notes. This coffee-table volume is both an anthology of riveting essays, supported by scholarship of the highest quality, and an album of photographs and illustrations. Its 18 contributors include leading scholars as well as esteemed practitioners of Jewish dance, within and outside Israel. In the book as a whole, hundreds more are discussed and/or interviewed. Brin Ingber’s edited volume Seeing Israeli and Jewish Dance offers a wide-ranging collection of studies of the encounter between Jewishness and dance. In the course of examining religious Jewish dances, Israeli folk dances and theatrical dances created in Israel, the contributors arrive at some surprising conclusions regarding the interdependence between Jewish and Israeli characteristics. The anthology also poses some essential questions regarding dance research, such as that of the boundaries between folk dance, social dance and theatrical dance.